Arm swing is a well-known exercise practiced throughout Asia. The benefits of regular exercise affect a person’s gait, shoulder function as well as head and body strength. 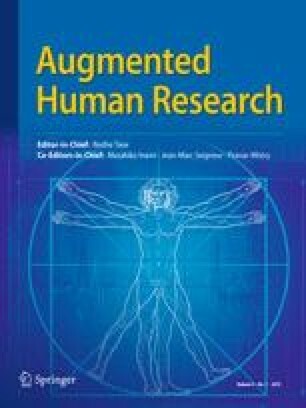 This paper presents a new study of gesture-based communication by using arm swing as a gestural input command applied to any digital device used by persons aged 21–50 years of age during their workday. In five difference occupations, i.e., student, lecturer, office workers, designer and industrial worker, with different routine tasks were studied. The sampling comprised 30 participants, 6 persons representing each occupation. Data were collected through focus groups. The objective of this study is to provide possibilities to integrate proper user experience of gesture-based communication toward an arm-swing input device onto participants’ routine activities. It is believed this research can have a significant impact on quality on human daily lives. A part of user experience methodology, like a field experiment, is applied to provoke participants to follow the correct sequence case by case. This paper adopts user experience measurement for this qualitative research approach. A proper user experience occurs when one understands how strength and weakness are affected by gestural input. An input gesture, feedback, system and output can then be mapped together into a complete scenario of a person’s daily life. Each participant is encouraged to raise various ideas on how he/she accesses technology rather than on how technologies allow them to access information. Based on the experimental results, this paper will then discuss the possible tasks performed in the five occupations in which an arm-swing input gesture is integrated. The influence of this integration into the participants’ daily activities presents confirmation of a preferable wearable input device for all focus groups. This wearable input device can then be integrated into activities without any interruption in a person’s main actions.